Is our sub-par family leave legislation supposed to be equally dismal for men and women? Is this the measure of equality? Today, August 26, is Women’s Equality Day. Hooray for one day! Forgive my cynicism. I’ve long been convinced that true equality requires evolution, and the existing generations are a lost cause. Sexism is far too ingrained in our current crop of the population. We need to begin breeding sexism out of our populations, in the hopes that in several generations we will have progressed out of inequality. I know that is ultimately defeatist, but as a mother, it gives me a fraction of hope for my daughter. But I won’t give up on some fights. There are some easy fixes our government and workplaces can do for a modicum of equality for a certain portion of women, those who are mothers. I am quick and happy to defend women who aren’t mothers as a vital population of women, albeit overlooked and often ignored. So forgive me for focusing on women who are mothers in this particular argument—I recognize how biologically reductive that is. But I am a mother now, and far too involved in my biology to overlook the disservice our federal government serves it. Our country lacks any kind of paid family leave for mothers and fathers of biological or adopted children, or sick family members. Currently, the federal government and the state of Pennsylvania are funding studies on the fiscal effect of paid family leave on workplaces. Studies that quantify the success of a business that offers paid family leave have been done, and the results signify better business and happier employees. This should be a surprise to no one. 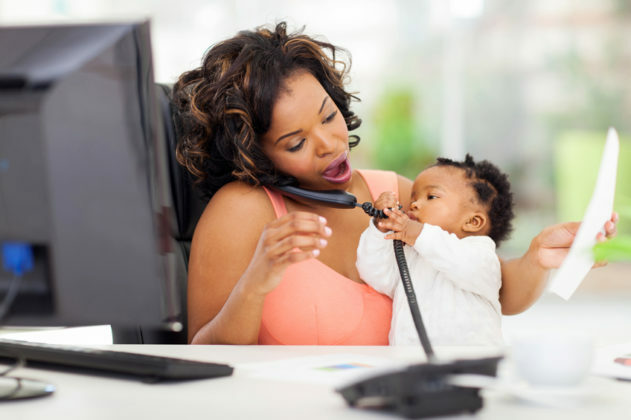 Countries that offer paid family leave for men and women do the job of leveling the gendered professional playing field when a baby comes on the scene. Fathers are expected to be as involved in the bonding process at home, especially in the case of single fathers, or two-father families. For hetero couples, the obvious need for a biological mother to have maternal leave is obvious—she delivered a child from her body, for crying out loud, and there is a good chance she is nursing said child every two hours. But biological and adopted children can wreak havoc on a father’s body, too, through stress, sleeplessness, or paternal depression. Now force that mother or father to choose between a paycheck and time to bond with a child. That is what our country does. And millions of families cannot afford that choice. So what does this have to do with women’s equality? Is our sub-par family leave legislation supposed to be equally dismal for men and women? Is this the measure of equality? Here’s my argument: If our country embraced family leave, and paid family leave at that, the question of who stays home with a newborn or newly adopted baby is no longer gendered. And the question of who can afford to lose pay is no longer an issue. Since white women earn 78 cents to every man’s dollar—while African American women earn 64 cents, and Latina women only 56 cents—more women choose to lose pay than men in hetero couples. But even if a woman is the primary breadwinner, workplaces are less inclined to be supportive of a man’s absence for a newborn than a woman’s. This is unacceptable. If family leave were normalized and ungendered, women would be judged less for taking leave, and perhaps their professional trajectory would be taken more seriously. Knowing that having a baby would not cause a gendered reaction at the office, women just might “lean in” more. Of course, this alone is not the answer to women’s equality. But making it easier for women to become mothers and not lose out professionally is a start. The more our country looks at parenting as not solely an act fulfilled by women, the easier it will be to pass legislation where both parents can be involved. Right now, we lack legislation for any parental involvement that isn’t heavily restricted or penalized. Mothers and fathers need a professional culture that normalizes family leave equally. That can be the beginning. Tina Rodia is a writer, blogger, photographer, mother, and tennis underdog in West Philly. Follow her on Twitter @bebebjornborg.